Our company has been operating since 1994. 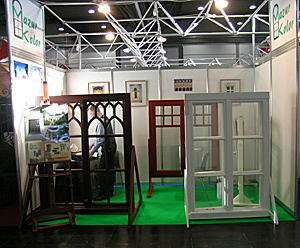 From the beginning we have been dealing with the production of wooden doors and windows. In the early years, we mainly exported our products to Western Europe. 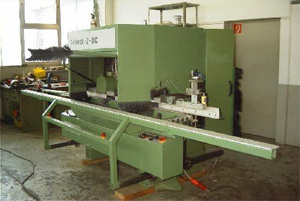 This involved the submission to the stringent standards applicable in these countries and the most modern production methods using Polish timber. Our activities have been recognized. 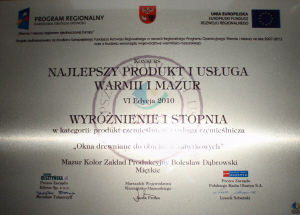 In 2010, our company received the honorable mention in the Best Product and Service of Warmia and Mazury Competition. Through our contacts at the fair in Leipzig, Berlin, Stuttgart, S-Hertogenbosch or Brussels, we execute woodwork in, among others, for the German and Belgian markets and in such prominent locations as the house on the Grand Place in Brussels. We do not neglect the domestic market, not only for the recovery of historic woodwork, but also the construction of modern demanding increasing safety, sun or sound proofing. Because the company employs only skilled workers, we are able to execute any window or door, depending on your needs. 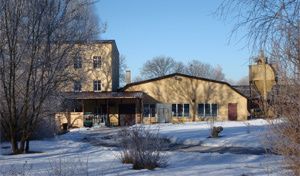 In addition, we also renovate windows and doors and in such exceptional historical sites as the Branicki Palace in Białystok, the Officers&apos; Mess in Cracow or the Ziegler Villa in Lodz (see RENOVATIONS). We have executed multiple contracts in Poland in the field of restoration and replacement of windows in historic buildings. We have recreated window frames, among others, in palaces, historic houses and other buildings which are under the supervision of the Conservator of Monuments. Pontifical Academy of Theology building (former Sanguszko Palace in Cracow), 1 Franciszkańska Street / 17 Bracka Street in Cracow. and others – see PROJECTS. All these orders were executed without reservations and in accordance with conservation art, which was confirmed by recommendations from Investors (see RECOMMENDATIONS). A production plant with a large usable area on a plot of 3.6 ha. 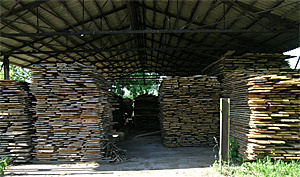 We have our own wood dryer, forge and sheds used for seasoning timber. For executing coatings, we have tubs for impregnation dipping and devices for applying hydrodynamic paint. Our eco-friendly paint room is equipped with a varnish suction wall with a filter. We have a Technical Approval, a hygienic certificate and the certificate of NIH research done by the Measurement and Testing Laboratory Metalplast KARO Złotów. The quality of all of our materials meets the requirements of products authorized for marketing and use in construction. In addition, all products and materials supplied are certified, have approvals and certificates authorizing market sale and widespread use in construction. Along with the highest quality products, we offer self-service and transport. In the first place, we always emphasize as direct as possible, personal contact with our advisors. We guarantee specific advice on the proper selection of windows and doors for your home.